AI is one of the most hyped technologies in decades - and for good reason. It’s set to add $15.7 trillion to the economy, with nearly $6 trillion coming from advances in analytics alone. Join us on Thursday, August 16th at The Village to learn first hand how AI is changing BI.  Don’t miss this exclusive opportunity to hear directly from the leading minds in artificial intelligence, Fortune 500 companies at the cutting edge of analytics innovation, and product luminaries from ThoughtSpot about AI’s role in reshaping the modern economy. Seats are incredibly limited. Sign up today so you don’t miss out! 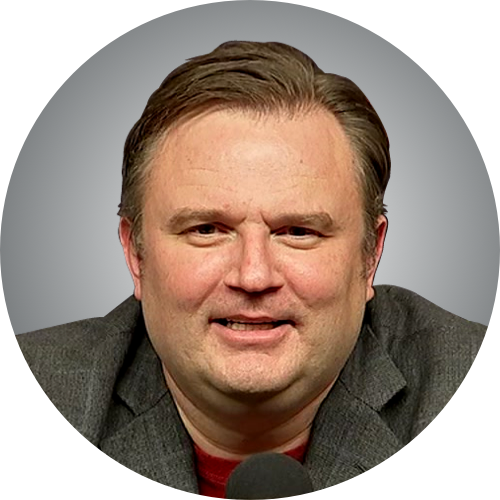 We are excited to announce Houston Rockets General Manager Daryl Morey is joining our fantastic lineup of speakers at “AI for BI: The Future of Analytics”. Daryl was chiefly responsible for bringing an analytical “Moneyball” approach to the sport of basketball - and was just named NBA Executive of the Year. Daryl will discuss his innovative data-driven approach to player evaluation, trades, and free agency, along with lessons he’s learned along the way for any leader looking to drive change with data. Seating at this exclusive event is limited. Please RSVP today to secure your spot.